The apartment is very big, comfortable and clean. Exactly as described and showed on the pictures. The rooms are spacious, the kitchen fully equipped with everything needed. The host was incredibely nice and attentive, the communication was easy and he gave us very detailed info about everything we needed. The price of the apartment was 3 times lower than the hotels around. Free parking space just in front of the building. We are very happy and satisfied and will book again for sure! 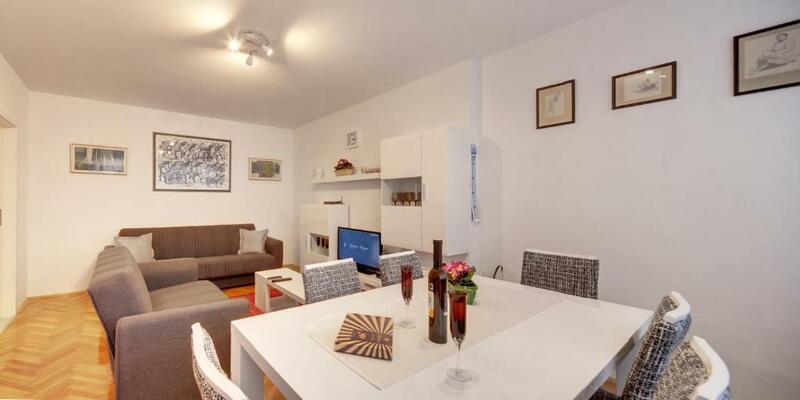 Everything, including a small terrace, dishwasher and private parking. 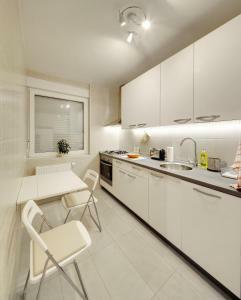 Great apartment, equipped with all the appliances needed. 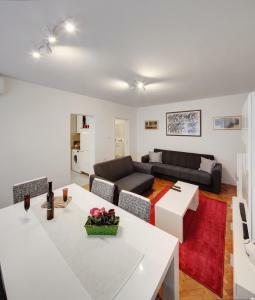 Located very well, few minutes walk from the old town Tvrđa and nice parks, next to a bus station and only few bus stops from city center. Very nice and welcoming host, easy to communicate. Absolutely great apartment at the great location. Very nice, modern and comfortable space. It contains many appliances. Parking space in the garage is secured. Host is very welcoming and hospitable. The apartment is really near the city center. It's really beautiful. Everything inside is new and clean. 2 bathrooms are really great for 2 couples. Modern, clean 4* appartment. Very friendly and helpfull landlord. Everything a family of could need including comfortable beds, air conditioning and wifi. Great location close to the Osijek old town "Stari Grad" with cafes and plenty to see and do. A short walk into the city centre. Our hosts were great and gave us great advice on where to go and what to see. The clean and relaxing atmosphere, very comfortable. 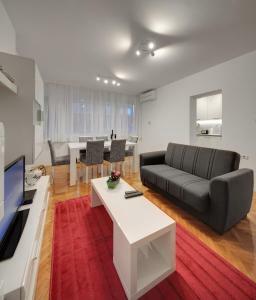 Lock in a great price for Apartment Osijek-Tvrda – rated 9.8 by recent guests! Apartment Osijek-Tvrda This rating is a reflection of how the property compares to the industry standard when it comes to price, facilities and services available. It's based on a self-evaluation by the property. Use this rating to help choose your stay! 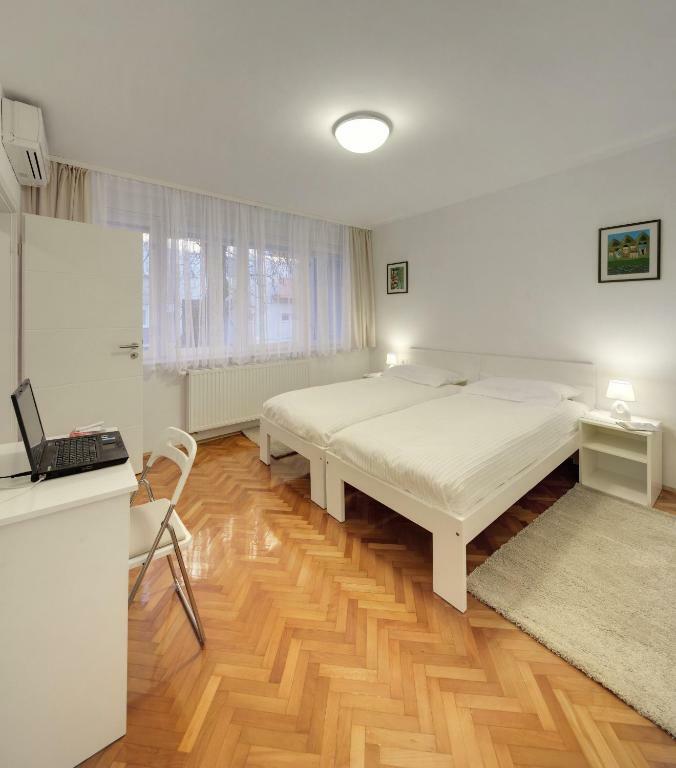 One of our top picks in Osijek.Located in Osijek, a 12-minute walk from Museum of Slavonia, Apartment Osijek-Tvrda has accommodations with a garden, free WiFi and an ATM. This apartment provides a terrace. The apartment includes a living room and a bathroom with free toiletries and a bidet. There's a seating area, a dining area and a kitchen complete with a dishwasher and an oven. Gradski Vrt Stadium is 0.9 miles from the apartment, while Osijek Citadel is a 12-minute walk from the property. Osijek Airport is 10 miles away. 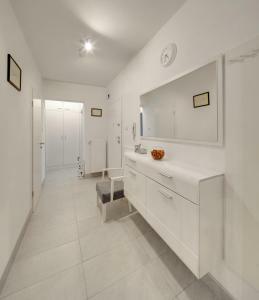 When would you like to stay at Apartment Osijek-Tvrda? This apartment features a dishwasher, oven and private entrance. Apartman Tvrđa se nalazi u neposrednoj blizini stare gradske jezgre Tvrđe, blizu glavnih ulica i cesta s kojima je Osijek povezan s okolnim mjestima i autocestom A5. Apartman je potpuno opremljen a s brižljivo odabranim detaljima pruža ugođaj vlastitoga doma. Uređenju i održavanju apartmana se posvećuje posebna pozornost i obavlja se uz stalni nadzor s gostima, jer njihove primjedbe i prijedlozi su nam dragocjena pomoć da vrlo profesionalno i kvalitetno obavljamo svoj posao na zadovoljstvo budućih gostiju. 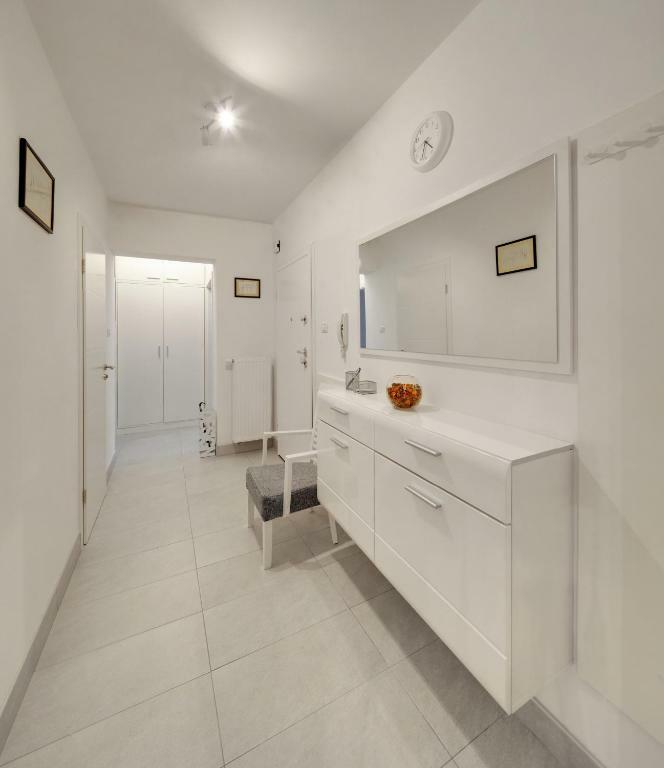 House Rules Apartment Osijek-Tvrda takes special requests – add in the next step! Please inform Apartment Osijek-Tvrda of your expected arrival time in advance. You can use the Special Requests box when booking, or contact the property directly using the contact details in your confirmation. There is absolutely nothing negative I can say about the apartment. Everything in appartment was great. If you're not used to city traffic, the only minor minus could be street noise, since the apartment is located next to a busy street.